NEW YORK (WABC) -- The rising and sometimes frightening cost of higher education is leading more and more universities to change one of the hallmarks of the four-year experience. Namely, shortening college to just three years. It's happening at New York University. College debt is not the most uplifting topic. "Usually riddled with debt, it gets really bitter with my friends, all of us. 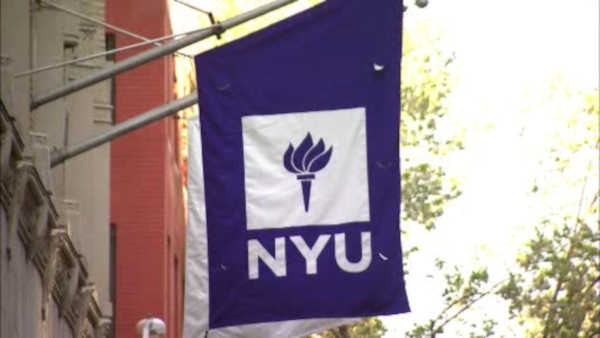 I love NYU but it is expensive," said Ashley Korkeakoski-Sears, student. But Ashley figured out a way to shave off 25% of her costs, and she's an English major not math! She advises that students take Advanced Placement (AP) classes in high school and do well on the AP tests. It's $90 per test, but it could be the best money you'll ever spend. "APs helped me a ton, they are worth the money," a student said. Instead of $64,000 each year for four years at NYU, she's knocking off year four, saving $64,000. She's doing it with AP credit, one turn at summer school, and a piano course. Smart students have been doing this for decades. "They figured out how to graduate early and why not?" said Ellen Schall, Senior Presidential Fellow at NYU. Schall heads up the affordability initiative. NYU just started helping students do this three or three and a half year plan! The new president of NYU made it a priority. "One of the things we flagged early, is we saw 20% of students are graduating in less than four years," Schall said. Students can do this at schools all over the country, and have been. What's new is NYU decided to help. "If you want to do this, you need to get organized in advance. Get those full credits through AP credit and work that summer extra," Schall said. That's to finish in three and a half, but Ashley will finish in three, and she even did a semester in Spain!